Black Friday is getting carved up like a Thanksgiving turkey. Retailers are launching big discounts as early as this week — and offering them again on Thanksgiving and the following day, traditionally known as Black Friday. What’s more, Black Friday is no longer the busiest shopping day of the year as stores roll out discounts earlier and spread them out over more days, industry experts said. As struggling retailers try to coax customers into their stores after a disappointing start to the holiday shopping season, they are trying to one-up each other with earlier deals to siphon competitors’ customers. 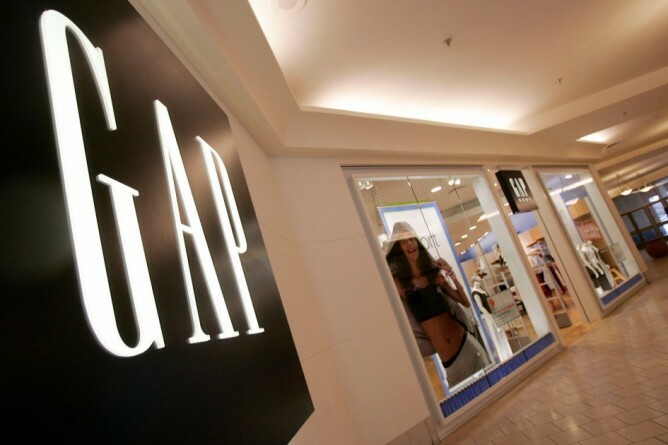 The Gap placed a sign at the front of its stores on Friday announcing 50 percent off for Gap cardholders and 40 percent off for everyone else. Black Friday started on a Sunday (Nov. 15) for Sears Holdings for the first time, the company said. Sears “members” — customers who sign up for its free loyalty program — get to shop on Sunday from 6 p.m. to 9 p.m. before the masses descend for the “second round” of doorbuster deals on Turkey Day and Friday. Radio Shack, which filed for bankruptcy in February, is also getting back into the game this holiday season by launching Black Friday on the Wednesday before Thanksgiving. JCPenney also muscled in on the action, opening at 3 p.m. on Thanksgiving, which is two hours earlier than last year. Meanwhile, Walmart is hoping to tamp down over-crowding in its stores by offering the same Black Friday deals online.